On Labour Day we remember and recognize workers who struggled to ensure decent and fair working conditions for us all. We must never forget that the advances in this country and around the world have been hard-won by union members who have given tirelessly and made many personal sacrifices to ensure protection for their fellow workers. The labour movement highlights the strength, resilience, and determination of our people. Throughout history,equality, economic parity, improved benefits and better working conditions were not guaranteed. Today, the benefits enjoyed by all working men and women came from a history of struggle, but that struggle has built the foundation for a better Bermuda. While we recognize that there must be fair wage policesand better benefits for workers, our people must also be empowered so that they are in a better position to help and do for themselves. The legislation cannot be expected to change the attitudes of many within the private sector, and to ensure that every worker has fair and equal opportunities will require us as a community to come together and provide these opportunities for ourselves. There is still much work to be done and we must press forward in unity. Our ability to look out for one another is important to shaping a better future, and our ability to stand together in the face of adversity will enable us to create a sustainable working environment for Bermudians, now and in the future. As leaders, we recognize each of us must ensure that our progress continues. We have a responsibility to bring about necessary change and set the standard for a fair and just workplace. By working together, we can address stagnant wages, unemployment, and unfair business practices. Labour Day reminds us of how far we have come, and how far we still must go to ensure the dignity of our people is upheld. I salute the working people who drive our economy forward and the union members who have bestowed benefits upon us through the labour movement. 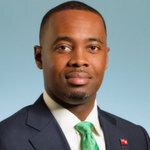 Our government was delivered a mandate largely due to the support of members of the labour community and we are committed to delivering on our promises to make Bermuda work for Bermudians. To everyone in Bermuda, I wish you all a very happy Labour Day, and ask that we all continue in the spirit of solidarity to advance the interests of workers in Bermuda. As long as there are countries in poverty, it will always be a challange competing with guest workers from those countries whom employers disregard workers rights, while they try to impose it on Bermudian workers. But your speech boosted something that Bermudians have lacked for years, and thats National Pride. Burt is going to review the “injustices of stolen land”.Good luck with that .Just talking BS and giving the blind faithful a hope they will be living in Tuckers Town in the near future.Dont make me laugh and they all lap it all up. So these byes snatched a chain off a tourists neck balued at 450.00$ and we arrest the tourists….. Brilliant! I wonder who the chain grabbers would vote for. Anyone who has been a victim of theft is in favor of the tourists…..set them free! That’s why they say don’t struggle. Mr. Burt to whom do you refer and do better .